Life As It Should Be: Jennifer Hudson and Punk? 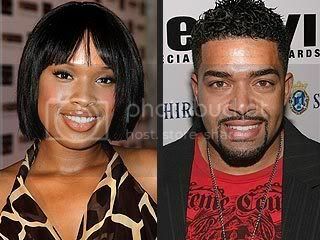 Has J Hud ever heard of sloppy seconds? This dude was New York's (from I love New York and Flavor of Love) leftover. Who wants that? I mean to each his own but really Punk? He has S-curls like the guy in "Coming to America". I guess love comes in all shapes, sizes and curls! Okay so I must say that aside from all the other problems with this relationship the one that bothers me the most is the fact that I think he bats for the other team. LOL...I so agree, he's a little too metrosexual for me, especially with those damn curls!! !